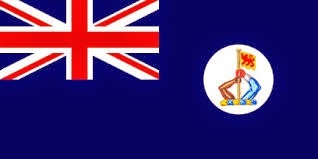 The State of North Borneo shall continue to be governed and administered as an independent State by the Company in conformity with the provisions of the said Charter, under the protection of Great Britain, but such protection shall confer no right on Her Majesty’s Government to interfere with the internal administration of that State further than is For Reference Only Treaties & Engagements & Orders 1 of 2 Agreement between Her Majesty's Government and the British North Borneo Company provided herein or by the Charter of the Company. Sarawak, shall be conducted by Her Majesty’s Government, or in accordance with its direction; and if any difference should arise between the Government of North Borneo and that of any other State, the Company, a representing the State of North Borneo, agrees to abide by the decision of her Majesty’s Government, and to take all necessary measures to give effect thereto. Her Majesty’s Government shall have the right to establish British Consular Officers in any part of the said territories, who shall receive exequaturs in the name of the government of North Borneo. They shall enjoy whatever privileges are usually granted to Consular officers, and they shall be entitled to hoist the British flag over their residences and public offices. British subjects, commerce and shipping shall enjoy the same rights, privileges, and advantages as the subjects, commerce, and shipping of the most favoured nation, as well as any other rights, privileges, and advantages which may be enjoyed by the subjects, commerce, and shipping of the State of North Borneo. No cession or other alienation of any part of the territory of the State of North Borneo shall be made by its Government to any foreign State, or the subjects or citizens thereof, without the consent of Her Majesty’s Government; but this restriction shall not apply to ordinary grants or leases of lands or houses to private individuals for purposes of residence, agriculture, commerce, or other business. IN WITNESS WHEREOF the Undersigned have signed the present Agreement in duplicate, and have affixed thereto their seals. Done at London, the 12th day of May, 1888. Treaties & Engagements & Orders 2 of 2 Agreement between Her Majesty's Government and the British North Borneo Company.